LEXINGTON, Mass.--(BUSINESS WIRE)-- Kaleido Biosciences, a healthcare company with a differentiated, chemistry-driven approach to leveraging the potential of the microbiome organ, today announced the appointment of Katharine Knobil, M.D., as chief medical officer (CMO) and head of research and development. 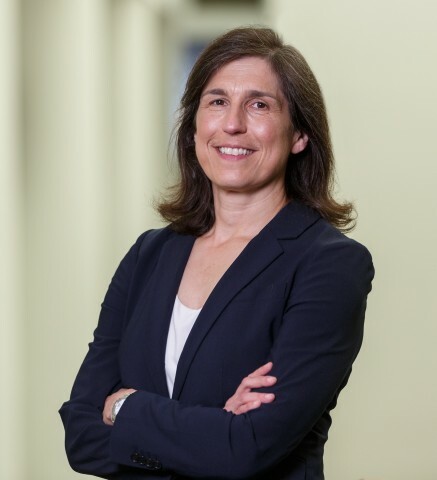 Dr. Knobil joins Kaleido from GlaxoSmithKline (GSK), where she most recently served as CMO, and spent more than 20 years in roles of increasing responsibility in clinical development, health outcomes and medical affairs. She will report to Kaleido’s chief executive officer, Alison Lawton. As CMO at GSK, Dr. Knobil oversaw medical affairs, health outcomes, global clinical safety and medical governance across the pharmaceutical, vaccines, and consumer businesses. Previously she served as CMO for Pharmaceuticals at GSK from 2015 to 2017, and prior to that, was senior vice president, value evidence and outcomes. Dr. Knobil first joined GSK in 1997 as a research physician in respiratory clinical development, and subsequently held a number of roles, including leading the European respiratory clinical team, and building the late-stage clinical development for all therapeutic areas in China. Dr. Knobil was recently named one of 2018’s Fiercest Women in Life Sciences by FiercePharma. She has served on the Board of Directors of the National Health Council and has been active with the National Academies of Sciences, Engineering, and Medicine, and the Patient Centered Outcomes Research Institute. Dr. Knobil received her B.A. from Cornell University, her M.D. from University of Texas Southwestern Medical School, and completed a Fellowship in Pulmonary and Critical Care Medicine at the Johns Hopkins Medical School. Kaleido’s Microbiome Metabolic Therapies, or MMTs, are designed to modulate the metabolic output and profile of the microbiome by driving the function and distribution of the organ’s existing microbes. The Company’s initial MMT candidates are targeted glycans that are orally administered, have limited systemic exposure, and are selectively-metabolized by enzymes in the microbiome. Kaleido has a broad pipeline of MMT candidates that have potential as novel treatments across a variety of diseases and conditions. The Company has built a library of more than a 1,000 MMT candidates, conducted seven non-Investigational New Drug (IND) human clinical studies, and plans to advance its lead candidate, KB195, into a Phase 2 clinical trial in urea cycle disorders in the first half of 2019. Kaleido Biosciences is healthcare company with a differentiated, chemistry-driven approach to leveraging the potential of the microbiome organ to treat disease and improve human health. Kaleido is advancing a broad pipeline of Microbiome Metabolic Therapy (MMT) candidates to address a variety of diseases and conditions with significant unmet patient needs. The Company’s human-centric discovery and development offers the potential to be faster and more cost-efficient than traditional drug development. Kaleido was founded in 2015 by Flagship Pioneering, and its website is: https://kaleido.com.